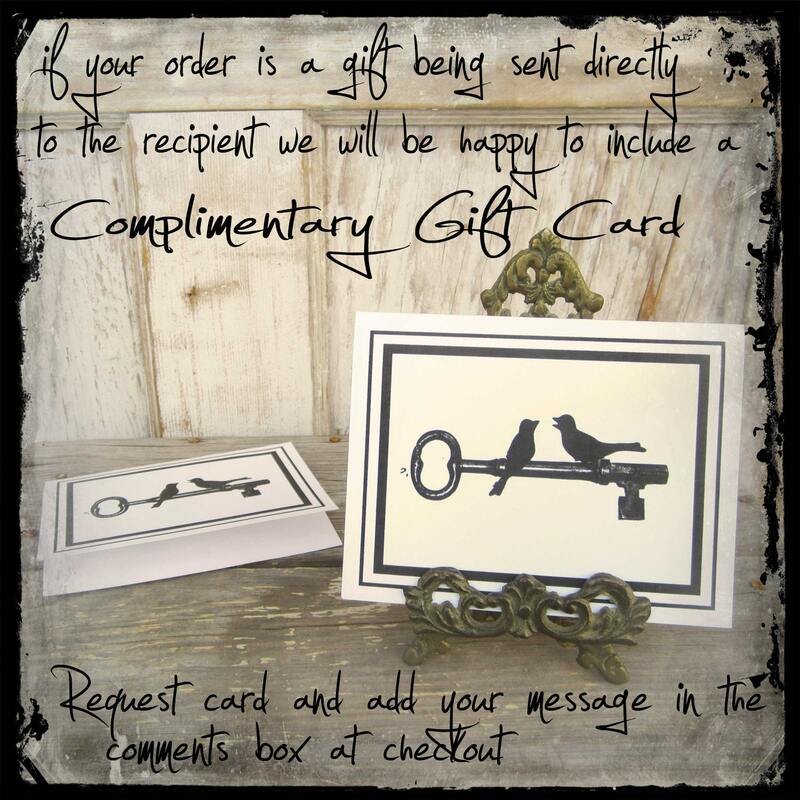 Please enter letter choice in the comments box (add optional note to seller) on the last page of checkout (the same page with the submit order button). 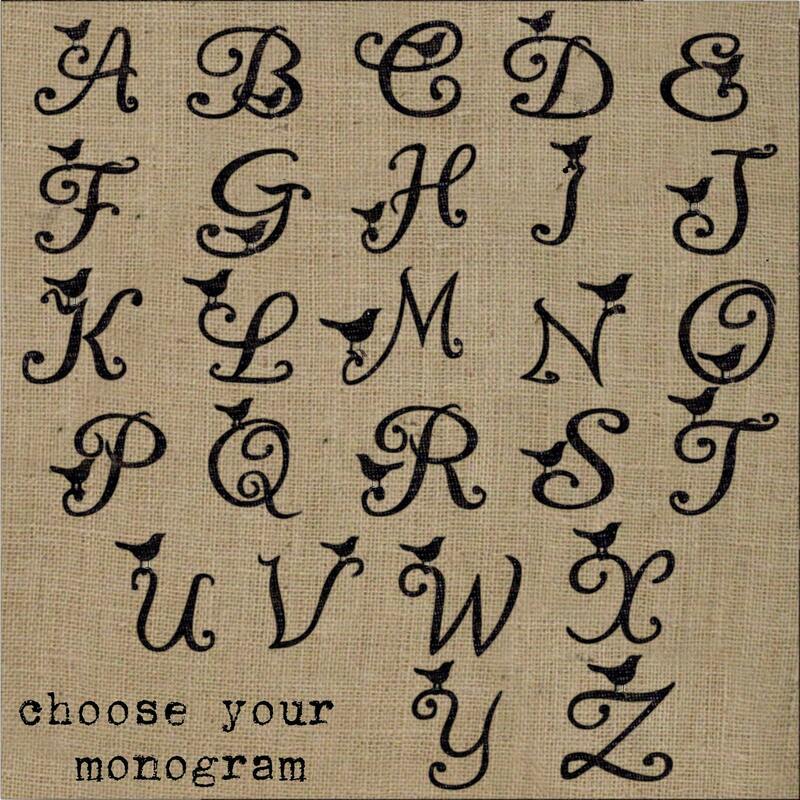 This journal features our original Bird Monogram design that can be personalized with the letter of your choosing. 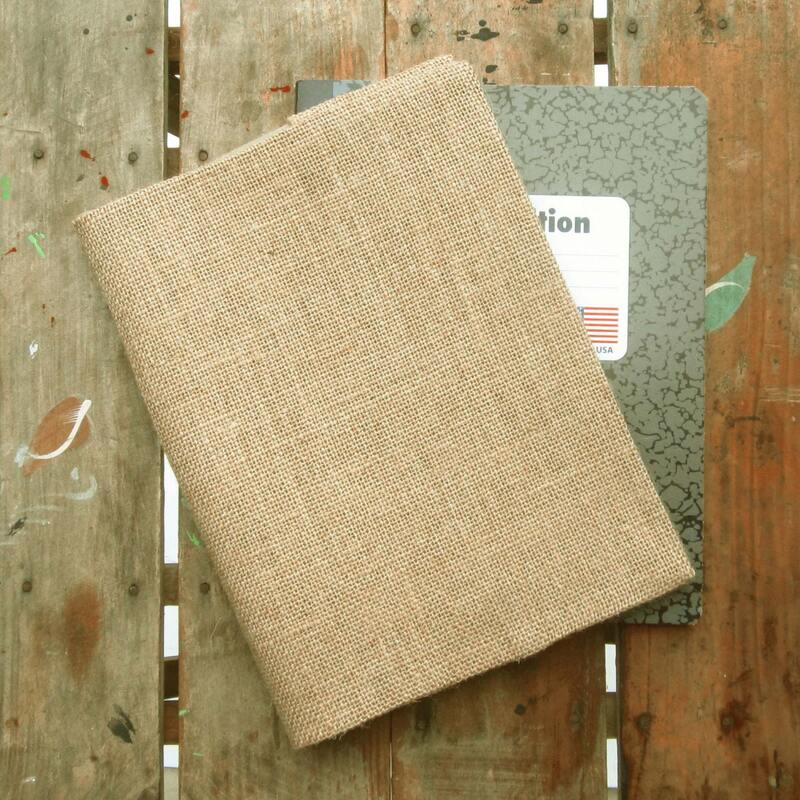 The journal also comes with removable handmade burlap flower pin. 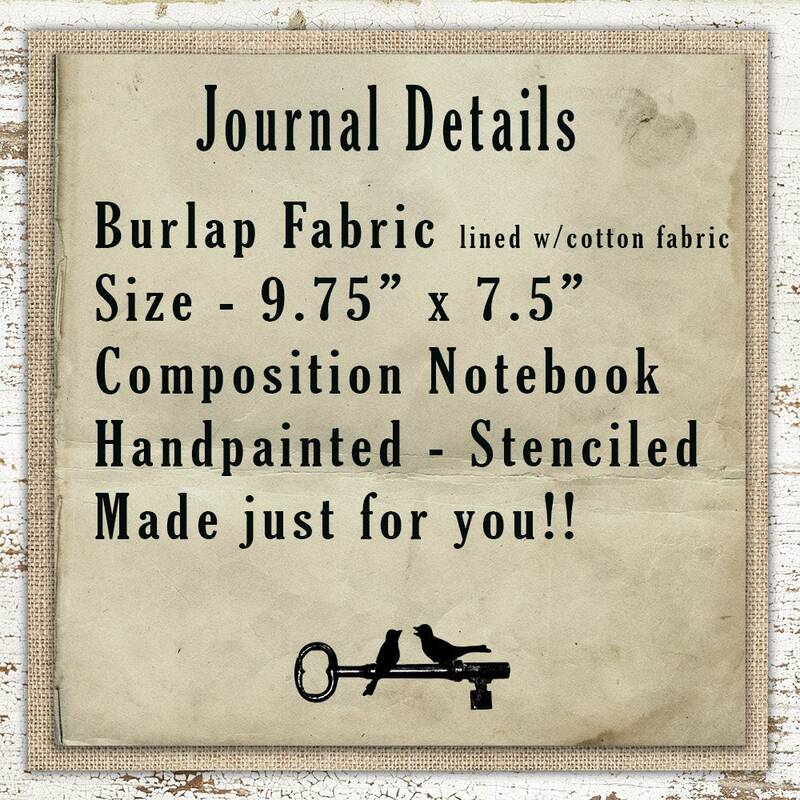 This journal cover fits a standard composition notebook. So when you fill up one your can easily add another. Notebook is included with purchase. 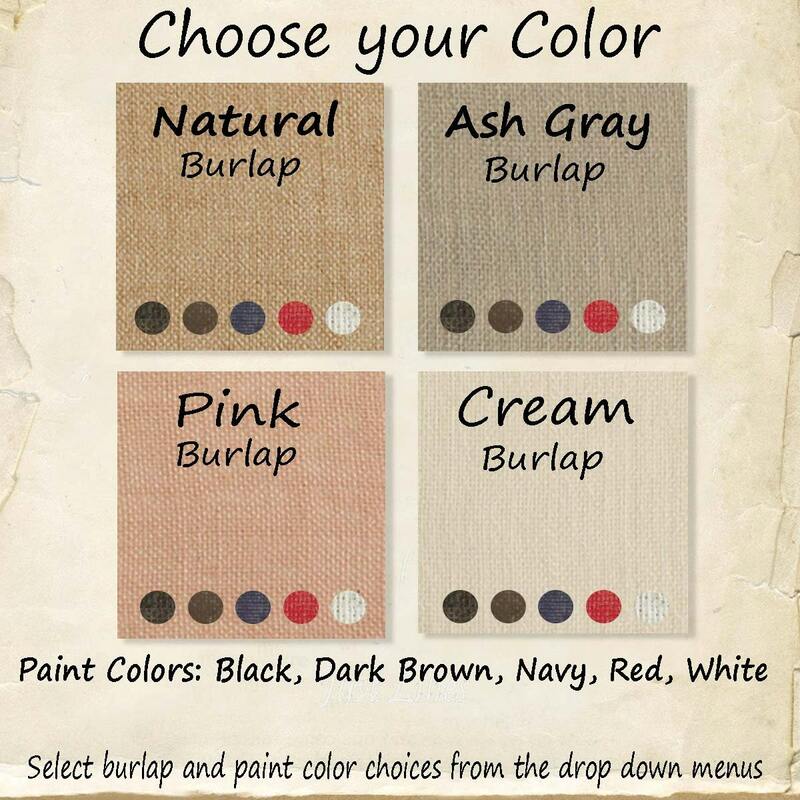 Each one of our journals is made from burlap and is lined with cotton fabric. 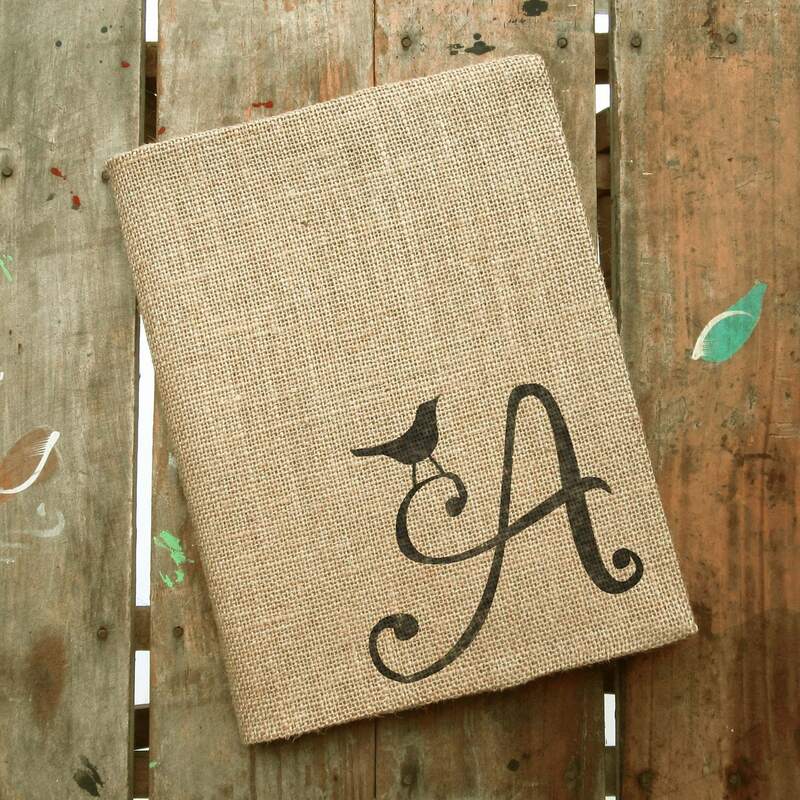 Each journal is an original creation, we design and make each stencil and the design is stenciled on the burlap with permanent non-toxic paint. The notebooks are great! I am giving these to my team for a job well done. I hope they like it as much as I do. Highly recommended! Fast shipping and a great gift! I bought a custom order for all my coworkers and I loved it so much, I had to purchase another plus something extra for myself! These ladies are fantastic! Very helpful and quick to communicate. I received both of my orders quickly. highly recommended.